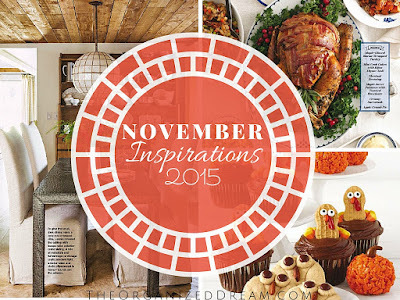 Welcome back to another monthly inspirations post! It's already November and it's hard to believe that its the holiday season once again. I saw something on Facebook the other day that said there were 10 weeks until Christmas and I started getting anxious. Ugh! 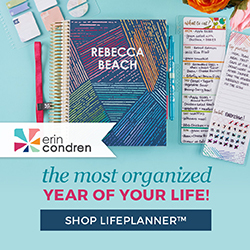 There never really seems like there is enough time to get things done, but before I start freaking myself out about Christmas, I like to slow things down and enjoy the Thanksgiving holiday. There are a lot of great features this month from my favorite magazines, Family Fun, Family Circle, Better Homes & Gardens and Parents. Let's start with Parents, shall we? These cute games are a great idea to keep kids busy and out of the kitchen. Every year it is so hard to get them occupied on something and not under foot. I'm in love with this place setting. 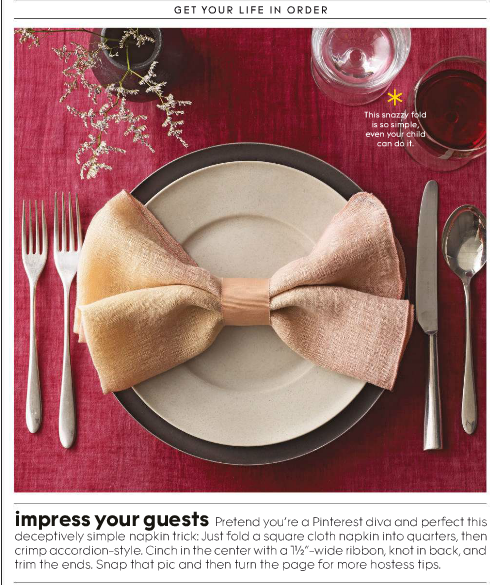 The bow napkin is absolutely adorable so I just had to share it. 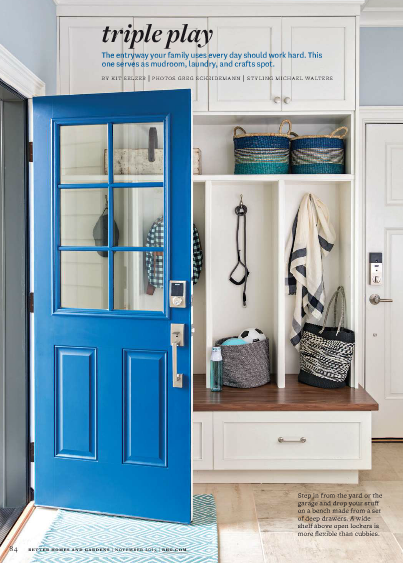 I really love this entryway/mudroom. The bright blue is a breath of fresh air and it looks well organized. Unfortunately, there wasn't much to feature this month from them. I just didn't see anything that caught my eye. Boo!!! This dining room is to die for! I love the covered chairs and the metal table. LOVE, LOVE, LOVE! It wouldn't be a holiday without some great dessert ideas. 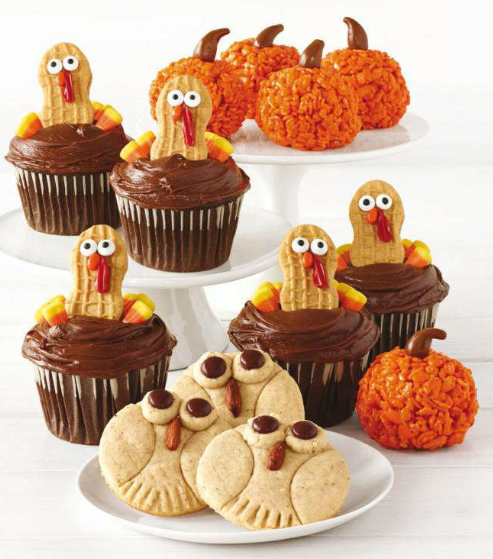 These look super simple to make and can really capture the fun of the holiday! 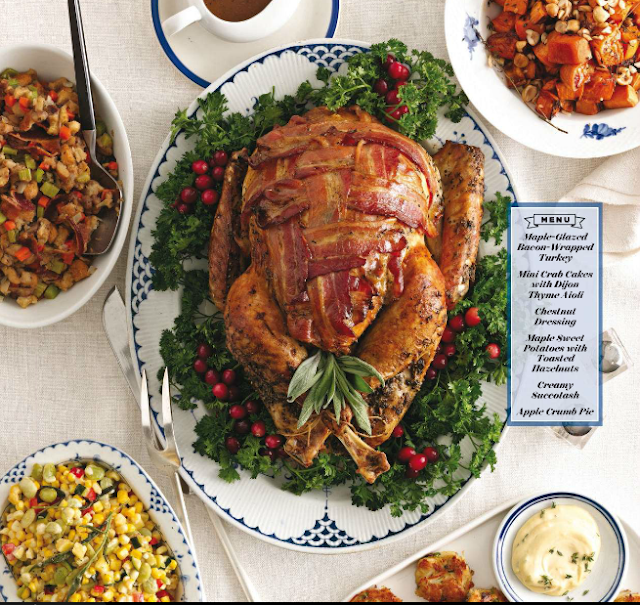 I'm sharing this meal below because it's built with the essentials for a typical Thanksgiving menu in the Northeast where I'm from. Nothing says New England like a crab cake next to your turkey! 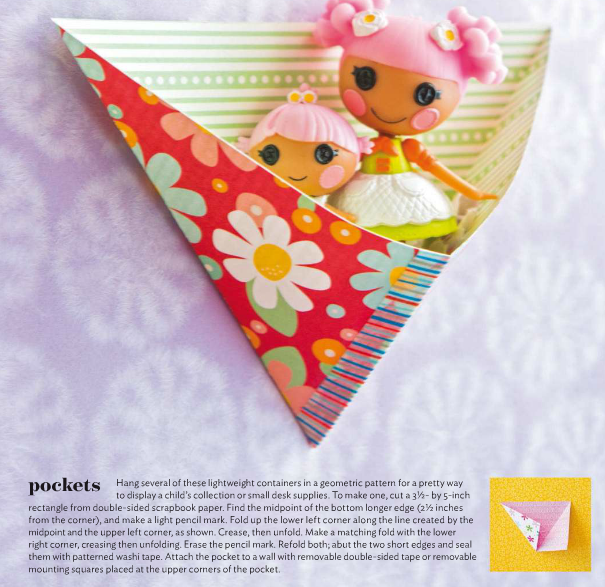 Create a fun little pocket with simple scrapbook or cardstock paper and some Washi Tape. It would be fun to make a wall of these to put tiny toys in, right? While Thanksgiving still has yet to pass, thinking of gifts for your family and friends isn't completely out of the question. 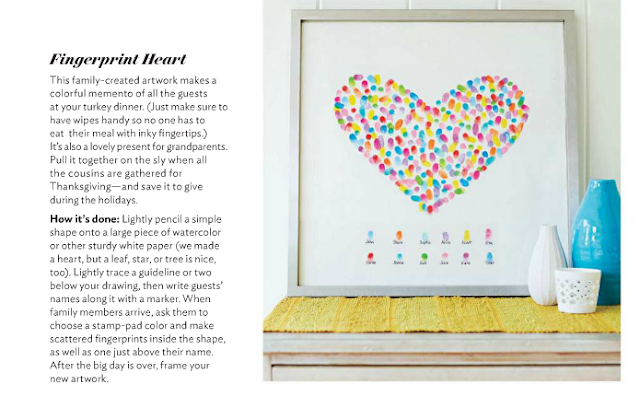 This fingerprint heart art is a great idea for a gift for a grandparent or a new mom or dad. So creative and colorful! Keep a lookout for more great holiday posts coming up this month! Follow below to get the latest updates! 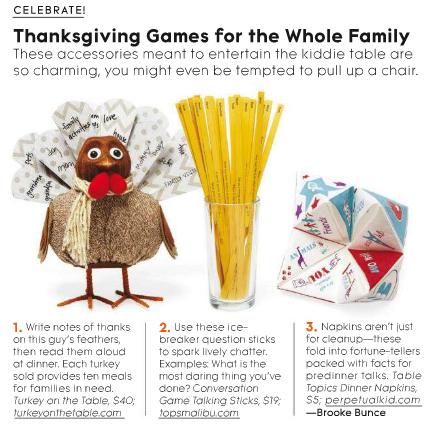 Love the thanksgiving games and I have to say the Thanksgiving meal made my mouth water :) Thanks for sharing with us at Brag About It! Thanks, Laurie! Love partying with you! I love everything in this post but I really want that dining room!!! Thanks so much for sharing with us at Share The Wealth Sunday! I know, it's gorgeous, right?! awesome inspirations! love the table settings and the themed treats - too cute! Love all the November Inspiration. 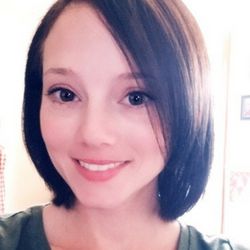 Thanks for sharing your post at the party. Shared. Hope you have a great weekend ahead! I love the fingerprint heart idea - great round up - Thanks for linking up to Pin Worthy Wednesday, I have pinned your post to the Pin Worthy Wednesday Pinterest Board. I love these inspirations!! I will be featuring you this week!! Thanks for sharing on My 2 Favorite Things on Thursday!! Hope to see you again! Pinned!